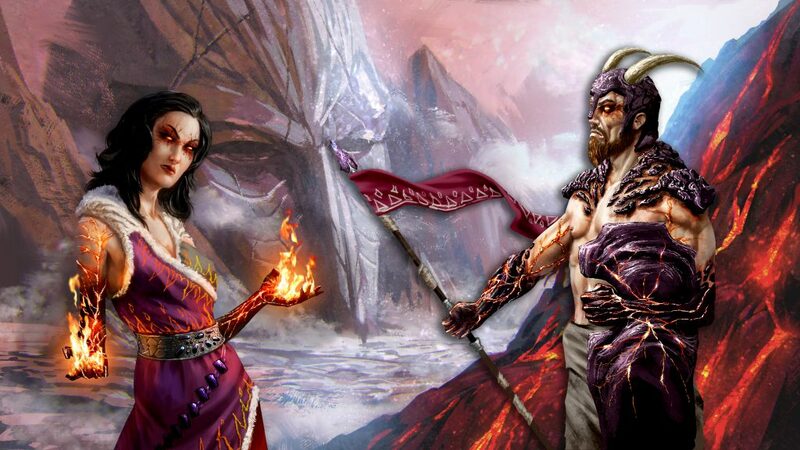 When the Ukuba crashed on Krenus, they were the first to separate from the rest of the Nontu and gave the name of Vuurkan to their new land, of a volcanic and igneous origin. From the name of the region came the name of its capital, Vuurkia. Mutated by the Albedonite with hybridization of Fire and Rock, they began to extract liquid Keitu from its solid state (in the form of crystals) by dissolving it in lava in special refineries. Given the close dependence of the lineage on the volcanic and igneous territory where they evolved, the Credo of Hudral, the God Vulcan was born, which manifests itself in the allocation of command to an Avatar, selected from among those who embody both Natures of Lava: that of Fire and that of Rock. In this way many protagonists were born, and countless other personalities: from Artypse, the aristocratic citizen, to Ryvas, the Guardian of knowledge, from Eskah, a serving wench, to Zoman and Falaxe, Ukuba hunter and huntress of Albedonite.